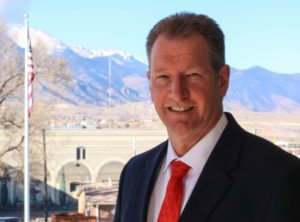 John J. Donohoe has been a Criminal Defense attorney in Colorado Springs and the front range for over 29 years. John has handled essentially every type of criminal case, from simple misdemeanors to serious felonies. Upon graduating from law school in 1987, John’s desire was to be a trial attorney for the individual, not a prosecutor for the government or an attorney for a corporation. He joined a small firm to handle their criminal cases, wanting to represent the person who was falsely accused or facing serious consequences because of criminal charges. His first jury trial was in 1988 in Douglas County involving a charge of careless driving involving injuries. His next trial was six months later in El Paso County where John defended a man accused of sexual assault involving a deadly weapon. Both trials ended in not guilty verdicts. John’s next eleven trials were not guilty verdicts, including a murder case where the authorities alleged John’s client confessed on two occasions. After a month long trial John’s client was acquitted. John was informed by a number of older criminal defense attorneys in town that this was the first murder case in the area to go to trial which resulted in an acquittal where the defendant allegedly confessed. Experience does matter when you are facing criminal charges, loss of your freedom or serious consequences from a potential conviction. 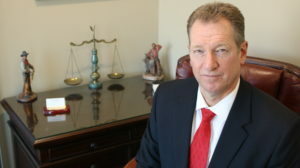 For the past 29 years John has handled serious criminal charges such as murder, sexual assault, arson, robbery, burglary, theft and white collar crimes. He has also handled other felony cases involving drug charges, assault, domestic violence, child abuse, juvenile cases and property crimes. John has also represented individuals charged with every type of misdemeanor including DUI, DWAI, careless driving resulting in injuries or death, assault, vicious dog, disorderly conduct, domestic violence and theft. John has attended trial schools to sharpen and improve his trial skills to more effectively present and argue his clients’ cases. In addition he has attended numerous seminars addressing criminal law updates and developments. If you have been charged with a crime and need aggressive and experienced representation, call John today and schedule an appointment. Call 719-636-3551 or contact us online today to discuss your concerns. Speak with an experienced Colorado Springs Criminal Defense Lawyer.